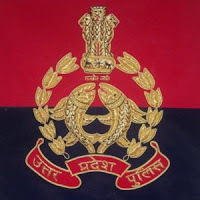 UPPRPB Notification 2018.Uttar Pradesh Police Recruitment And Promotion Board has released a notification for the recruitment of Constable Civil Police and Constable in Reserved Territorial Armed vacancies.Check the eligiblity and notification prior to apply for the positions. Candidates who have completed their Intermediate Level (12th) of examination from any recognized board of India will be eligible for this recruitment. Candidates can apply through link provided below or they can also apply through official site of the UP Police before 30/November/2018.